December started with a bang in Moscow at the Four Seasons, in Lisbon, in London at the Sushisamba, in Courchevel at the new aquatic center … We kept on by discovering a new train to Moscow and a suite with a view at the Eden Rock in St. Barts! We end by inaugurating the opening of a new luxury apartment rentals service, by skiing in the Black Forest, by dining at the Peninsula in Beverly Hills and by celebrating the end of the year in Chambord. 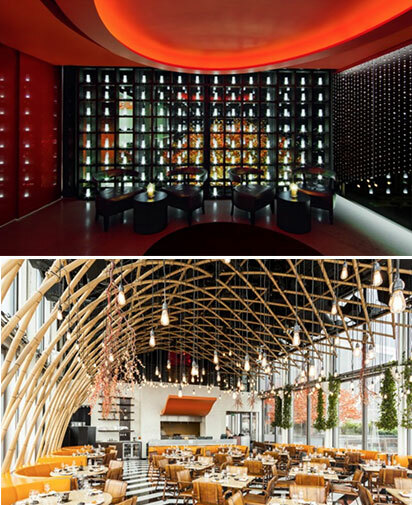 Each month, PLUME VOYAGE Travel News inform you on luxury hotels, boutique hotels and the world of modern travel. Is this giving you travel cravings? New concept of accommodation for weekends or longer, Sweet Inn features a portfolio of upscale apartments, a real cozy selection, comfortable, elegant and refined. They are found from Paris to Brussels through Lisbon, but also in Tel Aviv, Barcelona or Rome. Déjà vu ? 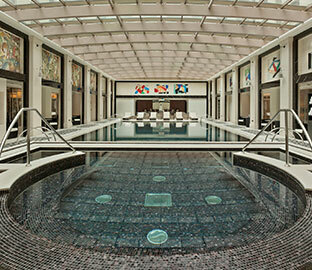 not merely because the rental offer is coupled with a real worthy concierge service of a luxury hotel. Everything is designed to make life easier to the newcomer. It is first a reception in the heart of the city, ultra cozy and the tenant can go there to meet the teams, deposit the luggages, and ask any question! or take advantage of the business center services. Then you can enjoy a local smartphone, a restaurant pass card offering discounts at a variety of restaurants, a private driver, lunch delivery, the daily cleaning staff on request, express pressing service, fast and free wifi, an Ipad provided with the Sweet Inn app, airport or train stations transfers … The traveler is happy and free of all heavy contingency. 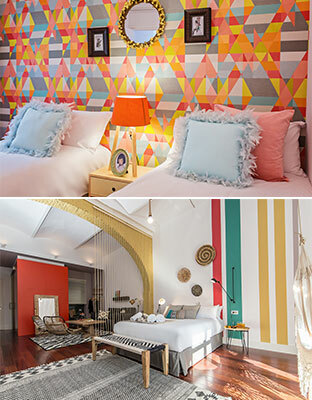 Sweet Inn wants to offer a journey unlike any other. A. F.-M. 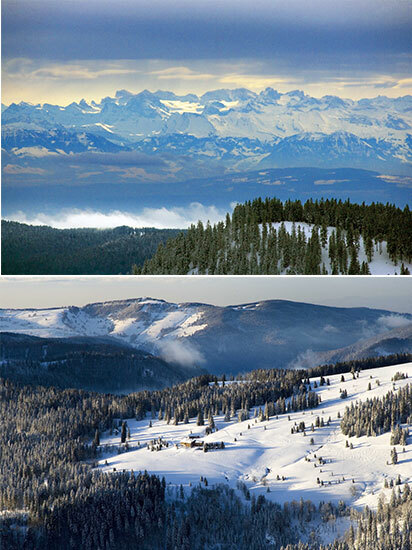 This winter, we celebrate a nice anniversary: ​​125 years of skiing in the Black Forest. In Baden-Württemberg lies the Feldberg peak at an altitude of 1493 meters: it is thus the highest peak in the middle German mountains. According to the Tourism Office of the High Black Forest, it is here that the history of skiing began, 125 years ago and revolutionized the Black Forest. On February 8th of 1891, with two oddly curved wooden boards and hooked under his feet, the adventurer and French diplomat R. Pilet climbed the Feldberg with these so-called “Norwegian snowshoes”. In order to celebrate this invention on its birthplace, many events will take place this winter on the winter sports theme. Among the highlights, we are counting on the cross snowboard FIS World Cup from the 22th to the 24th of January 2016 and the FIS Ski Jumping World Cup in Titisee-Neustadt from the 11th to 13th of March 2016. We love these ski resorts renamed with a distinctive style, offering a high-level ski area while keeping the typical architecture of these regions, there reigns a real mountain atmosphere … Many hotels are offering a typical and quality accommodation. A. F.-M. 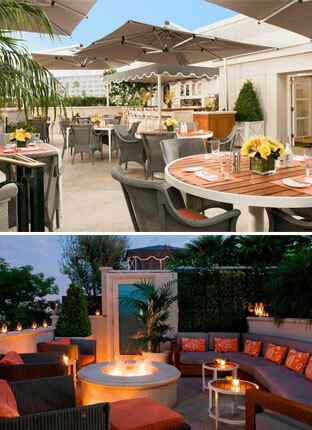 The Peninsula Beverly Hills is a superb palace offering 194 renovated rooms including 38 suites and 16 individual villas, set amidst tropical gardens in the heart of Beverly Hills. All located at the intersection of Wilshire and Santa Monica boulevards, close to Century City and the legendary Rodeo Drive. 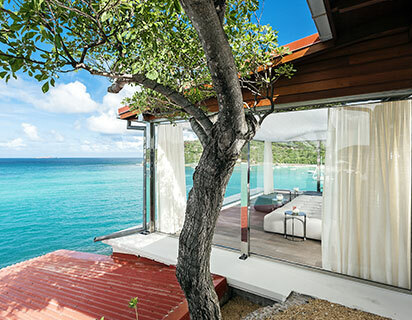 It has several restaurants: the award winning and renowned ultra Belvedere, The Living Room, where tea is daily served in the afternoon and on the roof, a refined oasis with pool, private cottages, which serves cocktails deck and dinner. For the winter, the hotel has developed a fun formula: the opportunity to dine in one of the twelve private cabins of this rooftop to enjoy one of the most romantic experiences of the season called “Cozy Cabana Nights “. Upon arrival in the cabins, guests are welcomed with a Signature Cocktail, winter special. Then they spend the evening comfortably wrapped in cashmere bathrobes or towels, while enjoying a delicious dinner of seasonal dishes created by Executive Chef hotel David Codney. This offer is running until March 31st and includes a welcome drink, a bottle of wine and a chef’s menu for four persons. A. F.-M.
Noirmoutier: the Playmobil going spare! 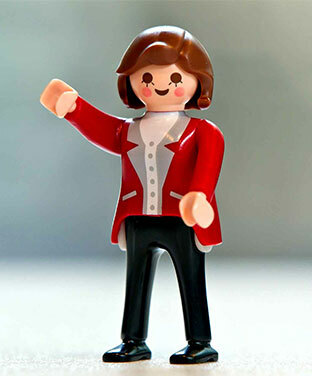 On almost 700 m2, the Smile-Compagnie association reuniting volunteers passionated by the Playmobil toys, offers this weekend scenes made from these timeless toys. 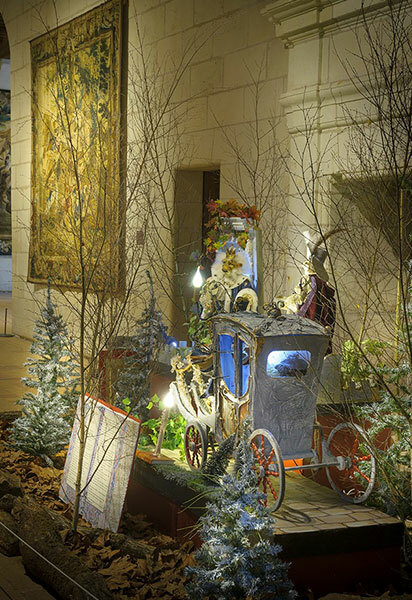 During a weekend, thousands of figurines, tons of ingenuity and talent, dreams of dioramas for young and old will therefore be available for free to visit in Noirmoutier en l’île. It will also include used Playmobil, rare pieces, spare parts, imported versions, on the many sales stalls. Not to mention a space for new games for children and a creative workshop for children « Create your unique Playmobil and leave with it …” and also storage ideas for Playmobil proposed by MyNote Deco. Finally a daily raffle with many toys and furniture by Playmobil to win. For 5 years the Smile-Compagnie return the profits of its events to charities linked to sick and disabled children. A. F.-M. 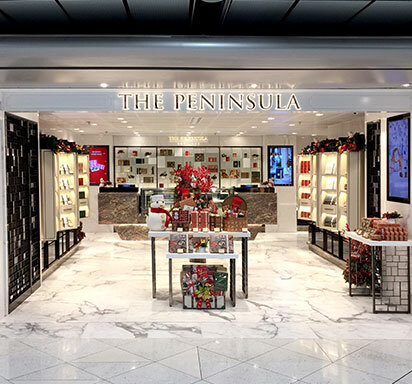 In the passengers departures areas of the Hong Kong International Airport, The Peninsula new boutique offers a collection of products by The Peninsula Hotels – the state of the art of Eastern hospitality with The Peninsula Hong Kong, as everyone knows, since 1928 . It contains the best specialties of the hotel: delicacies, handmade chocolates, cookies, delicious tea blends by The Peninsula and also a crowd of gifts from the colored vinyl tote in different colors decorated with the trademark cubs bears to the branded mugs through cookbooks or baby gifts … A good way to provide ourself a part of the magic of the mythical palace … AF-M. 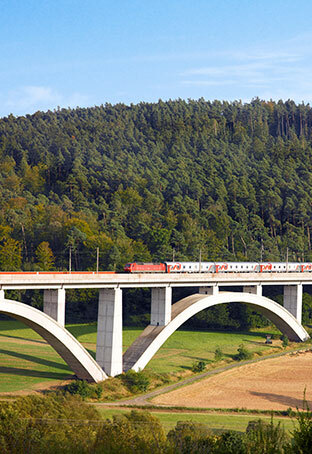 Recapturing the magic of trains criss-crossing Europe in excellent conditions … but we are dreaming of it! That is why we applaud with both hands this new Paris-Moscow service via Strasbourg, Berlin, Warsaw, Minsk that connects these cities by hotel-train 3 times a week from December 16th. This train, one of the longest in Europe (3217 km) will operate three times a week: departures are on Wednesdays, Saturdays and Sundays. From Paris Est at 6:58 p.m. or at 11:25 p.m. from Strasbourg, travelers are greeted by “provotniks” (Russian train staff) and installed in comfortable cabins. The train has 2nd class cars (4 bunks per cabin), 1st class (2 berths per cabin) or Deluxe cabins equipped with private sanitary and shower, as in a hotel room! Commissioned in January 2015, 1st and 2nd class cars are each equipped with a shower. The train restaurant welcomes visitors at any time, there is even a cabin service. After one night travelers may decide to stop at Berlin (arrival at 7:08 AM), continue to Warsaw (arrival at 1.35PM) and Moscow (arrival at 10:10AM the next day). Good to know: this train has dedicated staff per car and available 24h / 24h as well as discounted rates for under 26 and senior citizens and for those traveling in small groups (2-5 people) or groups (from 6 persons). With the construction of the new signature suite named after Christopher Columbus, in homage to the navigator who gave the island the name of his beloved brother , Bartholomew, Oetker Collection, adds one more reason to discover this iconic establishment. This spacious suite of 200 m2, on top of the magnificent Eden Rock, offers a thousand and one benefits. It is first a fabulous view on the turquoise waters of the bay of St Jean, that we discover from the panoramic lounge or the heated terrace with a dining room for up to 6 guests, an ultramodern video-stereo equipment, butler service, a spa bathroom dressed in Carrara marble with a huge tub …. And works of art all over the walls . What else to forget the gloom?! A. F.-M. 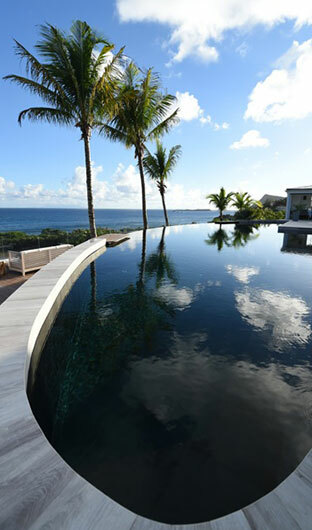 Ideally planted on top of a hill on the southeastern tip of the island, Le Toiny, a member of the Relais and Chateaux chain consists of 15 luxury villas spread over 16 hectares. Bought by Charlie and Mandie Vere Nicoll last February, it got a serious facelift in the summer of 2015, just to rejuvenate the main building, bar, reception, restaurant and all the villas suites. A wellness library was even created. The big news is the opening of a Beach Club on the beach. The 15 villas of Toiny fall into 13 one-bedroom villas, a junior suite and a three-bedrooms villa consisting of a main villa and 2 bungalows. All have their private heated pool and enjoy breathtaking ocean views. The Toiny hosts have access to the Serenity box that offers a range of treatments under the guidance of the excellent British brand Elemis. New decor for the restaurant and also a new leader, Fabio Verderame who has worked in many starred restaurants at Alain Ducasse, the Sketch in London, the Hostellerie Jérôme and George Blanc in France … With his team, he has developed a menu that offers contemporary cuisine inspired by the flavors of the world. At lunch, you can taste a new menu, using fresh local produce, salads, ceviche and local fish tartare, grilled fish: mahi mahi, tuna or wow and the famous grilled lobster from the tank. Not to mention meat cooked on the BBQ. At dinner a more sophisticated menu is discovered including the signature dish “spaghetti with black Périgord truffle and parmesan” prepared in front of diners. A. F.-M.
As there is not only skiing in life, even in the mountains, a strange ship just saw the day in the prestigious resort in the Alps. Conveniently located at the Courchevel exit 1550, Aquamotion is a unique place that allows for all seasons, summer and winter, 7 days a week, to enjoy a host of activities. 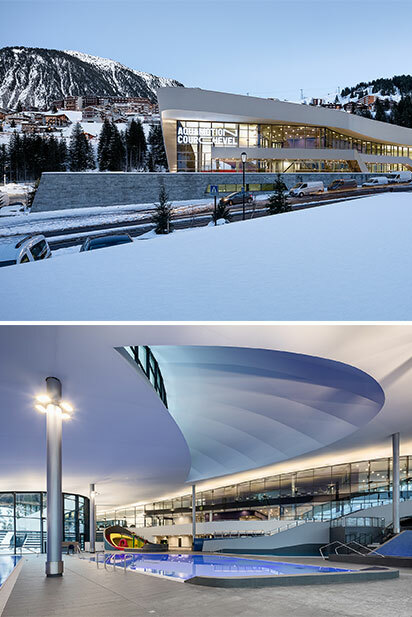 The space offers a whopping of 10,000 m2 indoors and of 5000 m2 outdoors! Swimming and surfing: and yes the first mountain wave surfing is definitely there! There is also a climbing wall of 11 m, with a part for adults and one for children. As for the treatments space on over 560 m2, it has 19 cabins and cares are signed by Algotherm, the precursor of marine cosmetics for 40 years. Apart from face and body treatments on offer, there are a wide range of relaxing, anti-stress and detox: whirlpool baths, affusion showers, domes essential oils, water jets, showers, saunas, steam rooms, caldariums .. . There is also a marine cave where sea water is heated to 34 ° C with a high degree of salinity, perfect to restore the biological balance of the body and a heated outdoor pool. Not to forget the restaurant and lounge bar signed by Nikki Beach! A. F.-M. It was 20 years ago on one of the largest archipelago in the Maldives, Sonu and Eva Shivdasani opened the first eco-luxury resort in the Maldives, known for its motto “No News No Shoes,”. They are well positioned as pioneers in sustainable development applied to hotel business as this resort of 65 villas overlooking the beach with bathrooms opening onto a private garden, some with their own pool, prove it. 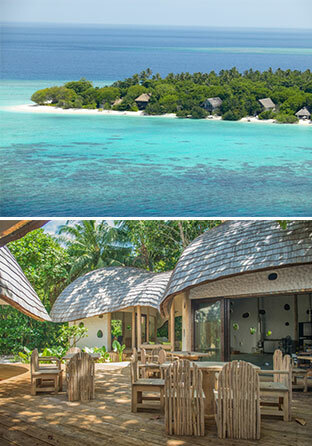 The resort includes among other wonders: a Six Senses spa, a cinema Paradiso, the first outdoor cinema in the Maldives, a recently installed observatory, as well as delicious and varied restaurants …. So therefore no question of stopping on the way: today, Soneva Fushi is innovating by opening the first wind tunnel in the Maldives to recycle glass waste of the hotels of the Baa Atoll, each making about 5 tons of waste every month! Result: the Glass Studio at once a shop, a gallery and a workshop where hotel guests learn to blow glass. The idea of ​​Sonu Shivdasani: “transform the glass in a valuable object” World renowned artists stay over there and create works of art. Several exhibitions will be organized every year in collaboration with artists. A. F.-M. The next January 14th of 2016, let’s live an unique experience with Air France in embarking on a 747 for an exceptional tribute flight around France and one of its iconic sites! 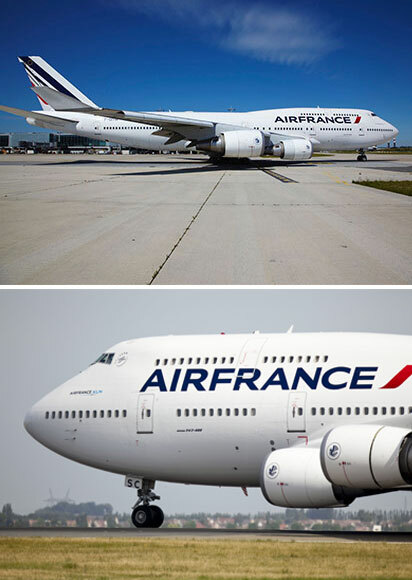 More than 45 years after the first connection between Paris and New York provided on the 3rd of June 1970 by the “Jumbo Jet”, Air France offers the possibility of a last ride with this iconic aircraft that actually revolutionized air transportation by democratizing it. More than 500 people, per device, were able to travel to New York, the French West Indies, Reunion, Asia … The majority of the company’s destinations were served by the widebody. The flight number AF747 will depart at 11:30 from Paris-Charles de Gaulle for a unique experience: business lunch and champagne, conference during the flight France, its landing, its history and its emblematic places etc. On return to the airport, guests of flight AF747 will be invited to discover the workshops of the aviation maintenance of the Company and to share a drink at the base of the unit. Reservations now by calling 01 56 93 70 28 between 10AM and 5PM, Monday to Friday. The ticket price is set at € 220 per person. A. F.-M.
Moscow: Thémaé at the Four Seasons! Lisbon lights up to celebrate Christmas! One more reason to spin in Lisbon before Christmas! The lights are back on the Terreiro do Paco square. From 11 to 20 December the square hosts the interactive show “Have Encantadas Portas” (the enchanted doors): projections broadcasted on the walls and arches of the most famous square of the capital. This year, the show is inspired by the Advent Calendar: every day is marked by the opening of a door to the much anticipated Christmas Day. The main facade of the square will play a central role in the show, with 12 projectors that illuminate. 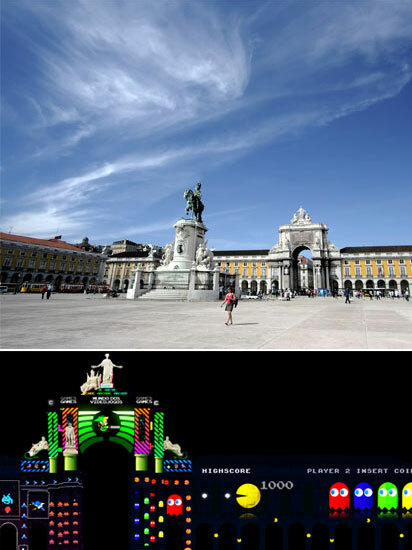 The projection on the Arch of Rua Augusta will be conducted by a team of elves, rivaling jokes and trickery, will open a door every day to guide the spectators to the heart of a fantastic journey filled with visual and sensory surprises. This show is offered daily at 19:00 20.00 to 21:00 for a period of about 15 minutes with a rhythmic succession of 25 times with warm colors. These projections will offer audiences a unique moment in the form of sound and light that plunge Terreiro do Paco place in a 360° fairy. A. F.-M.
Val Thorens: Koh-I Nor acclaimed! The Ski World Awards 2015, the most anticipated awards of the year in the alpine world, delivered its verdict in Kitzbühel a few days ago. This is the Koh-I Nor, a 5 star that takes it all in the category “France’s Best Ski Hotel”. 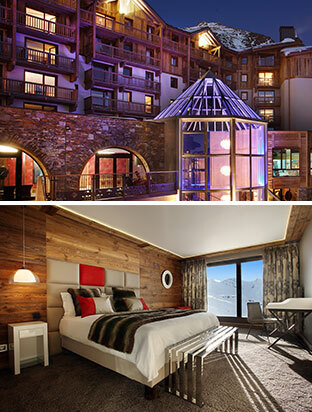 Opened in December 2013, the Koh-I Nor offers the best-of to welcome skiers, in an extremely comfortable refinement. It takes its name from the oldest diamond in the world, 105.6 carats adorning the center of the crown of Her Majesty Elizabeth II. The hotel has been created on this model of light and transparency, with its imposing glass structure letting the sun cross from morning to evening. New this year: a 800m2 spa is now stamped Cinq Mondes to provide the best body treatments in collaboration with Valmont for facials care and a third restaurant “La Cave” around Savoyard dishes opened by chef Eric Samson . At Koh-I Nor, children also have their place: they can get a ½ hour massage at the spa , enjoy a snack and their parents can enjoy amenities for their baby: sleeping bag, bath, thermometer bath, changing mat … A.F-M.
Everything begins with a steep climb in a transparent elevator to the 39th floor! Shivers guarantee. Straight arrival on the bar of the place …Then down the stairs, also transparent, along a wall, transparent yet to arrive in the holy of holies: the restaurant itself. Fully encased with glass offering a breathtaking view even for the most jaded ones! Located with ease in the top of the highest skyscraper in the city (after the Shard of course!) The show is magical. And there is even an outdoor terrace to use without moderation on sunny days. In the plate, it is not bad either: the menu highlights a variety of dishes combining Japanese influence (sushi), South America: Brazilian and Peruvian (samba) for a very attractive result. Good idea: take about 5 dishes and share. Thus treat yourself with cooked meat on a hot stone, high-flying lemurs and even rare Kobe beef … Remember: the price for success! A. F.-M.